Tickets of Category 6 (Seats with restricted sight) will be additionally sold at the box office only in case all other tickets ars sold out. The Price Categories can be found in the program sites. There is a concession of 5€ on all tickets for pupils, students under 27, those doing national or social service, those receiving income support and those in possession of a youth leader card. Please present proof of entitlement. Ticket sales (plus 12% advance booking fee) begin on March 17th 2018, 9.00 h at all advance booking offices. Please contact your nearest advance booking office. Binding booking (school class) with immediate payment starting on 23th March 2019 at 9 am, optional booking (reservation) starting on 25th March 2019 at 9 am. Groups of students (performances are suitable for ages 16 and up) receive one free additional ticket for every 12 tickets bought, as well as a €5 student concession per ticket (plus 12% advance booking fee). Wheelchair spots are available through the hotline. Please inform the hotline of your eligibility. Visitors are advised to wear suitable clothing for the prevailing weather conditions. 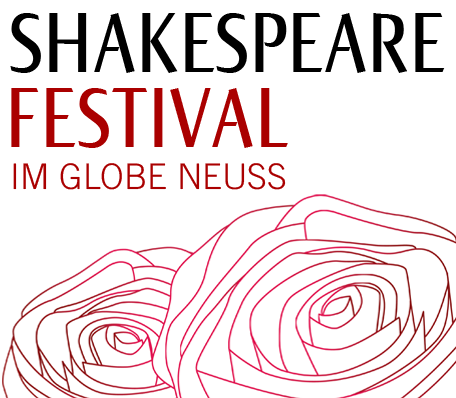 The Shakespeare Festival reserves the right to change dates, programme and the cast of productions.